I’m an absolute sucker for a nice looking store and this cafe absolutely fits the bill. I’m told it’s an absolute dream for those with kids, very kid-friendly with a play and drawing area. They also stock a few really lovely crafty items like twine (oh I love twine), and cute paper cups. The clincher for me is their huge range of tea. You might remember that I’m off the coffee, and that I get bored, bored, bored with ordinary tea. 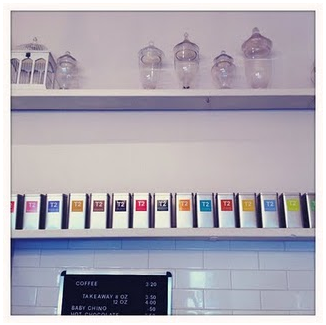 Cake has the most incredible range of T2 teas, so you’ll be spoilt for choice. Plus I’m told they have CHOC-CHIP CHAI LATTES…oh. my. god. I’ve fallen in love with Cake from afar, and will be visiting their blog regularly. Rest assured, next time I’m in Ballarat I’ll be dropping by for a tea, or two, or three. 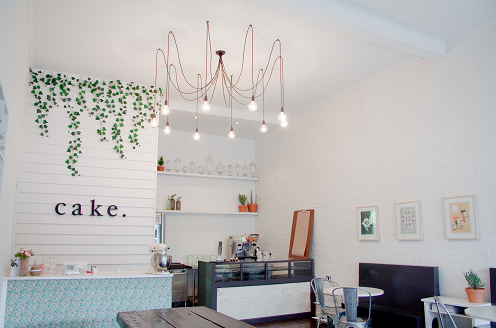 You can find Cake Bakeshop at 30 Main Rd, Ballarat, Victoria, Ph: 03 5333 3384.